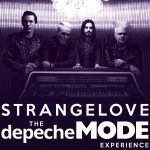 Los Angeles based STRANGELOVE-The Depeche Mode Experience delivers a career spanning, pitch perfect “best of” concert that transports the listener through time and touches on several key points in Depeche Mode’s illustrious career. 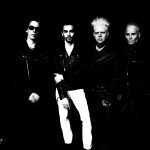 Songs from throughout the Depeche canon are lovingly recreated; from favorites on DM’s debut Speak and Spell to the newest fare from ‘Mode’s latest- 2017’s “Spirit”. No detail of STRANGELOVE’s presentation has been overlooked. 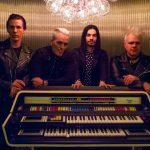 The visual presentation with stage set pieces and in-show costume changes reflect different eras of Depeche Mode’s story; which spans almost four decades! Truly evocative of a Depeche Mode arena/stadium stage show; the scale of STRANGELOVE’s theatrical stage production is unparalleled, save for the real article. Custom-produced multimedia projection visuals delight the concertgoer’s senses and enhance the illusion that they’re witnessing an actual Depeche Mode concert.